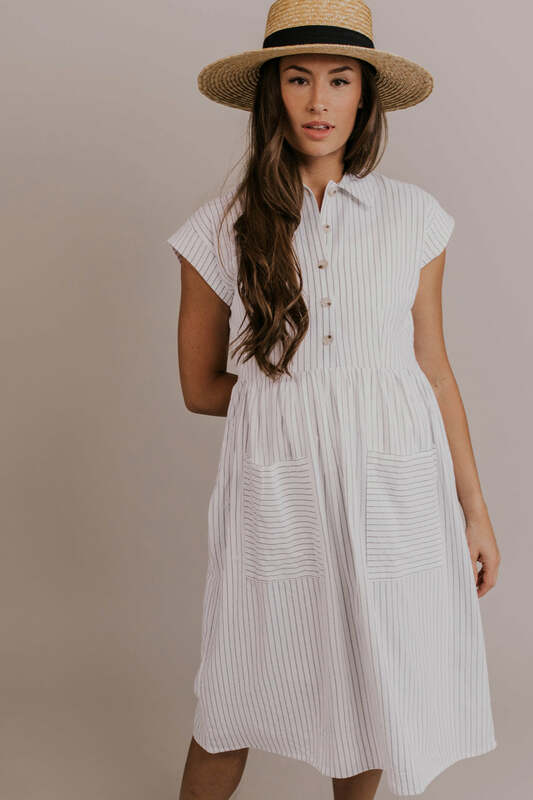 This nursing friendly piece is the perfect easter dress! Featuring pockets, a v-neckline, and a midi fit; this dress has everything you've been looking for. The Kiara Button Dress is great for all your holiday and wedding needs.